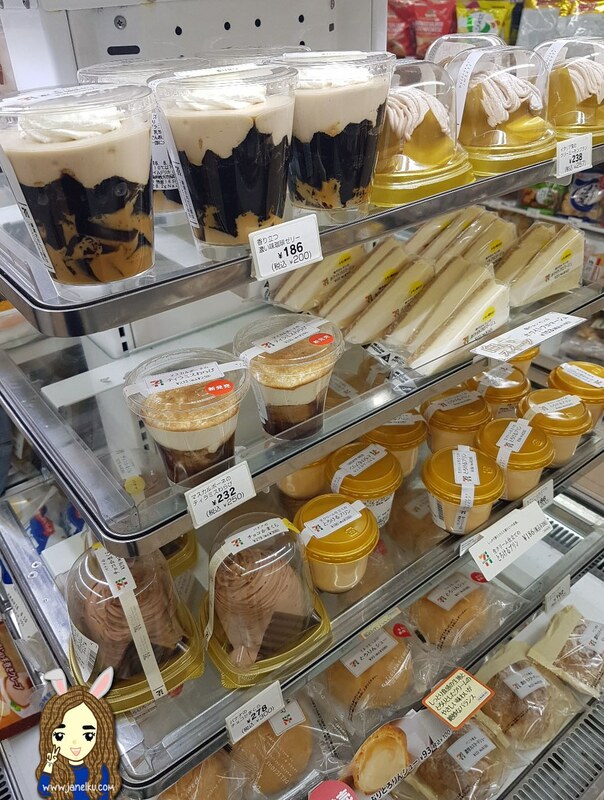 Food in Japan. 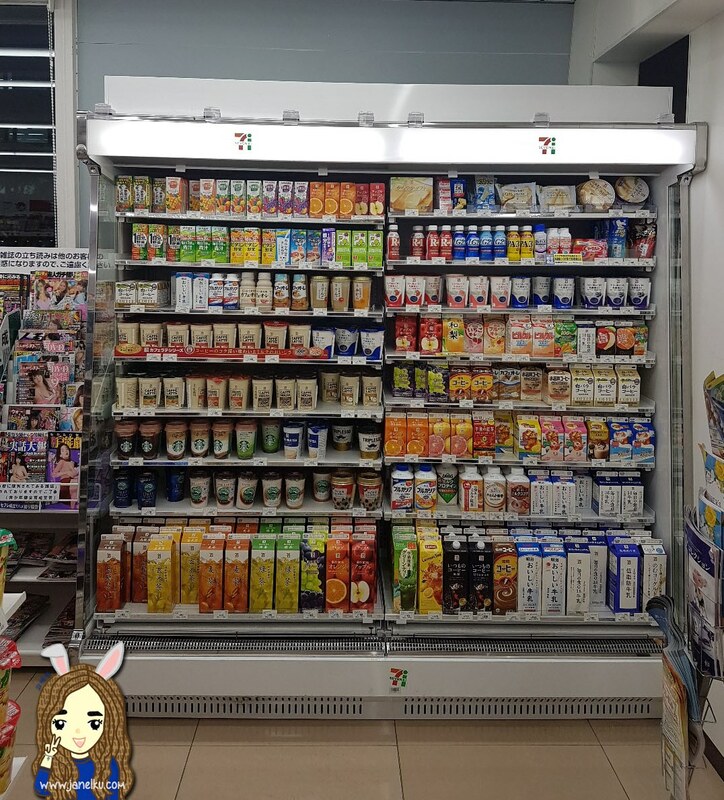 Even the food from their convenience stores attract me. 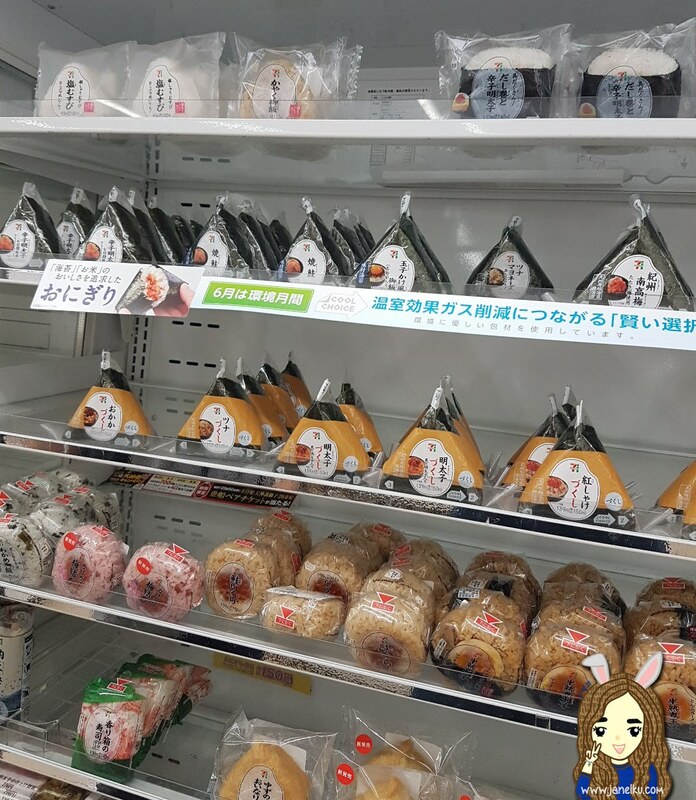 Especially their onigiris and their bentos. So so good for supper time. 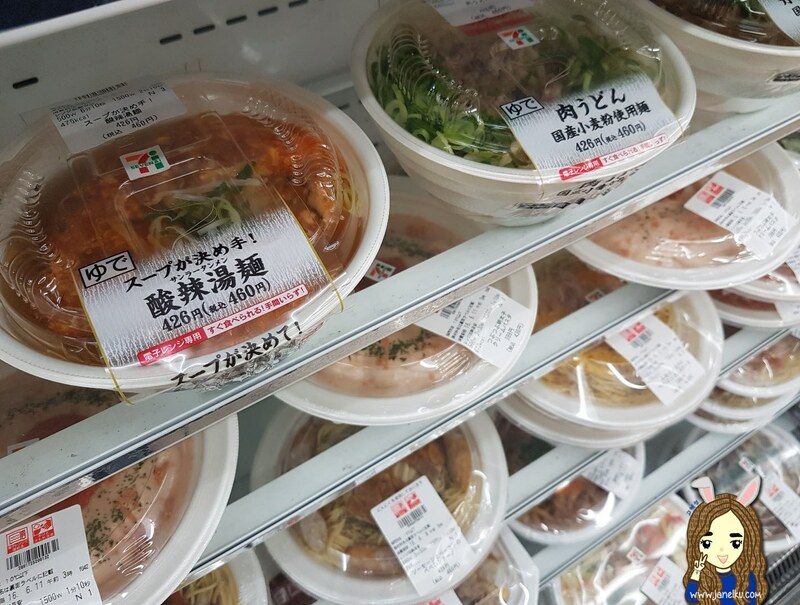 It's a great place to be in for meals if you're on a serious budget in Japan. I had 2 onigiris for breakfast every morning. We had a new flavour everyday when we were there. 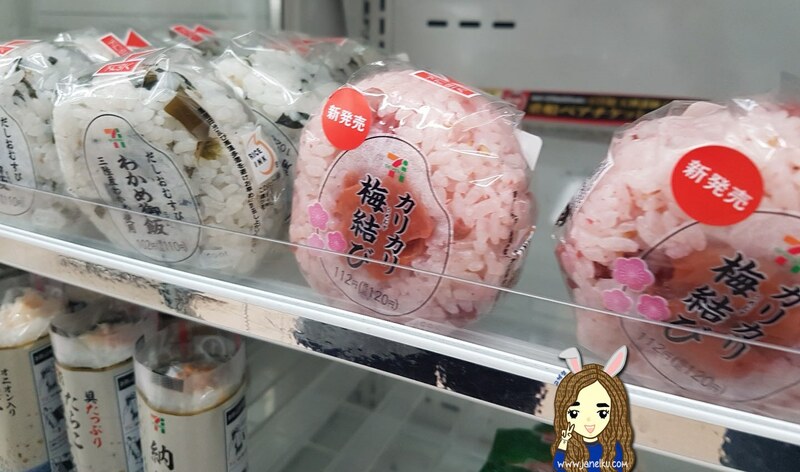 Interesting flavour: Plum onigiri (in pink shown below). Sounded so special that I immediately bought it. But unfortunately, it was my least favourite one out of all the flavours there. 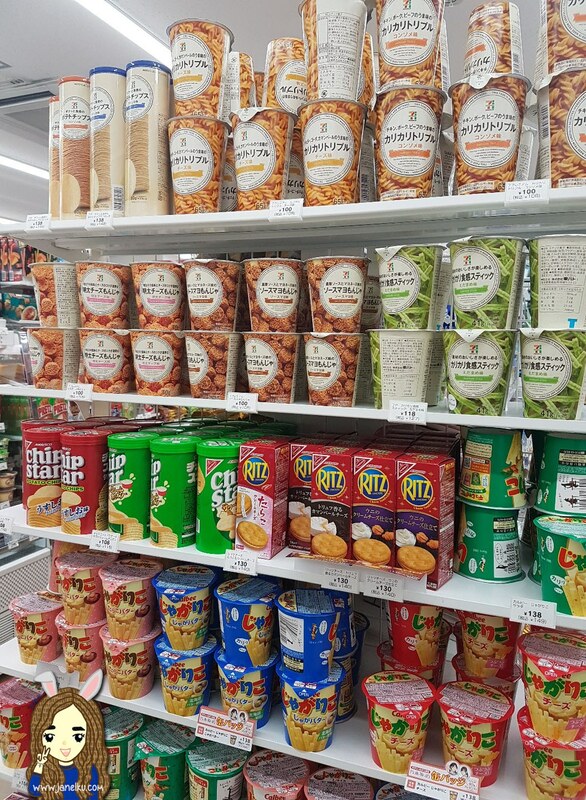 They have so many flavours of noodles there!! 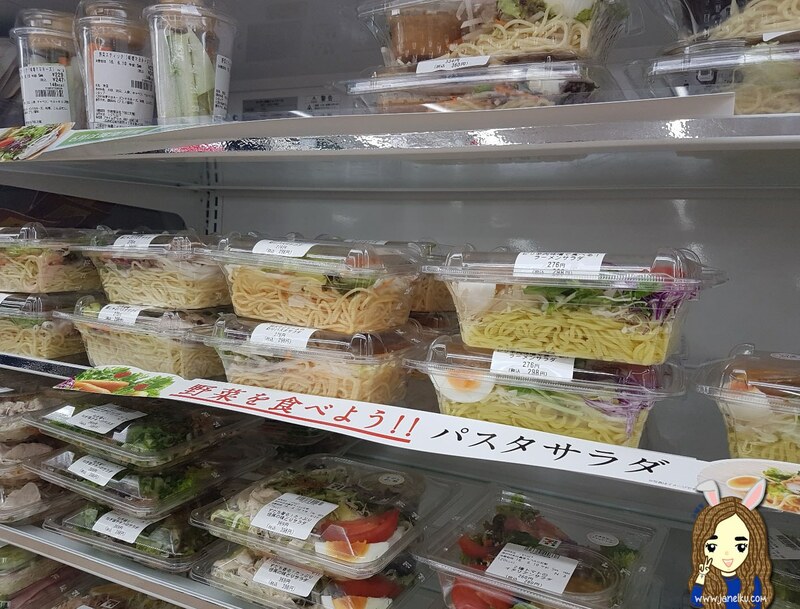 Lovin' the selection - from spicy soup noodles to cream pastas. Oh yes, yes. 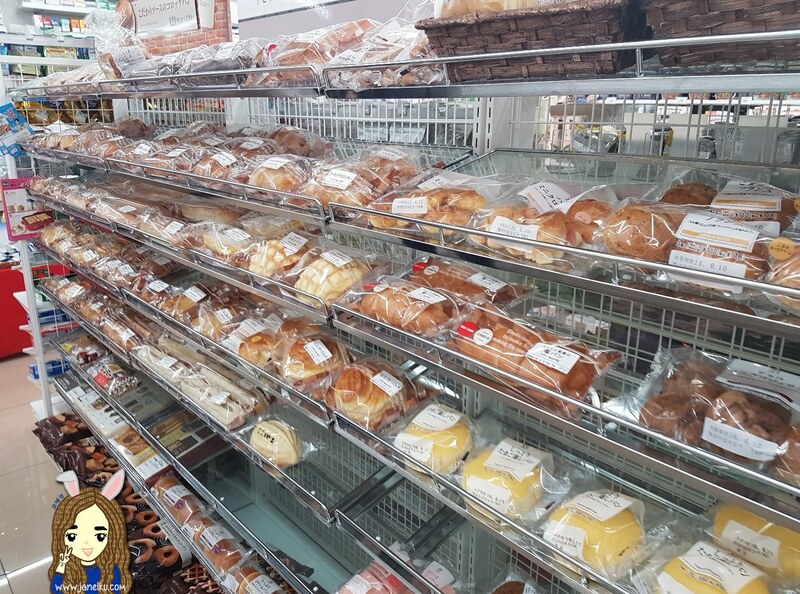 Let's not forget the varieties of bread there, enough to rival breadtalk in the mornings. Did I mention the dessert selection too? 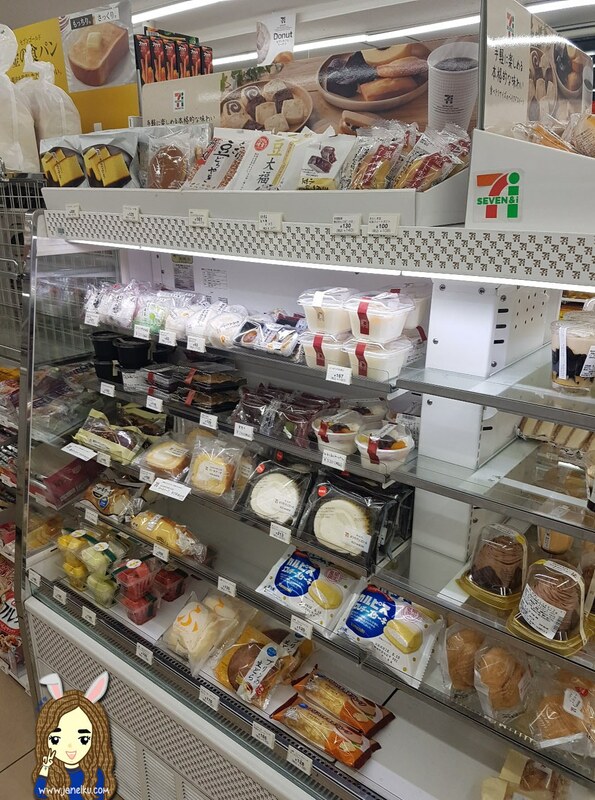 It was awesome as castella cakes, puddings, anpan (red bean bread), swiss roll cake slices and even fruits were available. Before I forget: SALADS for the healthy eaters. 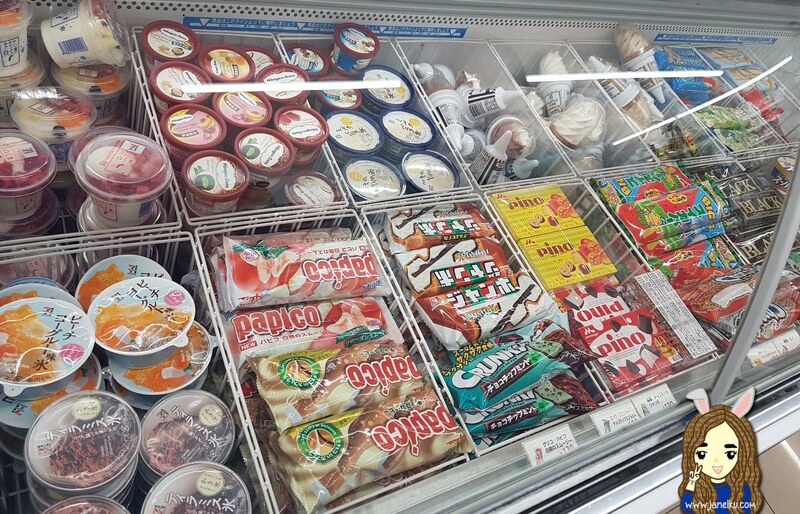 Ice-cream selection that made me a-screamin'. For the itchy mouths that loves a good snack, 24/7. Drinks! They have hot ones, cold ones, you name it - they have it.